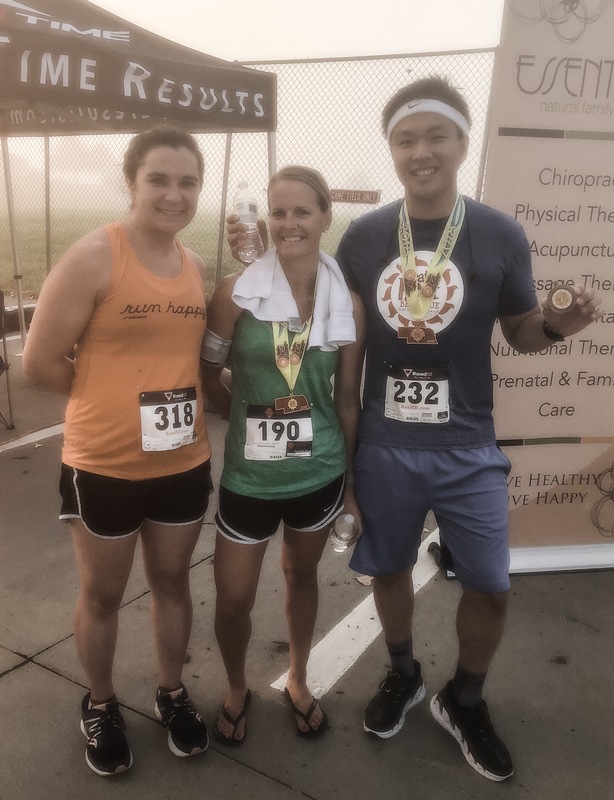 Recovered surprisingly quickly from the 50K in Wichita, Kansas, two weeks ago, I registered for a 10K at the Beat the Heat, where I set a half-marathon personal record (PR) last year, taking place in Bellevue, Nebraska, on August 11, 2018. Having already run one 50K, four half marathons, and one 10K this year, I initially planned to give my body well-deserved rest for a while, but my upcoming three-week business trip to Korea that will likely prevent me from running regularly and this event’s providing an additional medal for returning runners motivated me to squeeze in one more race prior to flying to my native country. I for a moment debated running another 13.1, but I did not want to overwhelm my body and potentially cause an overuse injury, which has occurred in the past. I had in mind to attempt to break my PR of 00:51:44.82 from a couple of years ago, but that performance amazed me and I was uncertain if I could replicate that. After my three consecutive races in horrific conditions, the weather finally cooperated for this second annual Beat the Heat. The course remained entirely flat, and I knew from the first mile based on how my body felt this would be a successful run. Rather than slowing down, I for the most part consistently gradually increased my speed, resulting in a negative split the second half. I did not worry about struggling in the last section carrying this unprecedented pace, understanding I would be done soon regardless; in an ultramarathon, this mentality obviously does not work as easily. I went from thinking of simply beating my PR to running a sub-fifty-minute to finishing at a sub-8-minute-mile pace, the last of which I thought to be possible with 2.5 miles to go. When the finish line came into sight, I could not contain my excitement and screamed, “Yes!” and celebrated reading the time and sprinting to the end. Official time 48:42.8, 8th place out of 51 participants, I smashed my previous impressive (for me) PR by over three minutes. (This 7:50/mile pace would have replaced my 5K PR as well, but I have not entered a 5K event in over five years.) Not even remotely exhausted or breathing heavily, I wondered if I could have run faster, but how could I be disappointed? Driven by faith in my Father, I constantly prayed as I ran, and I have no doubt He gifted me with this performance. Thank You, Jesus.